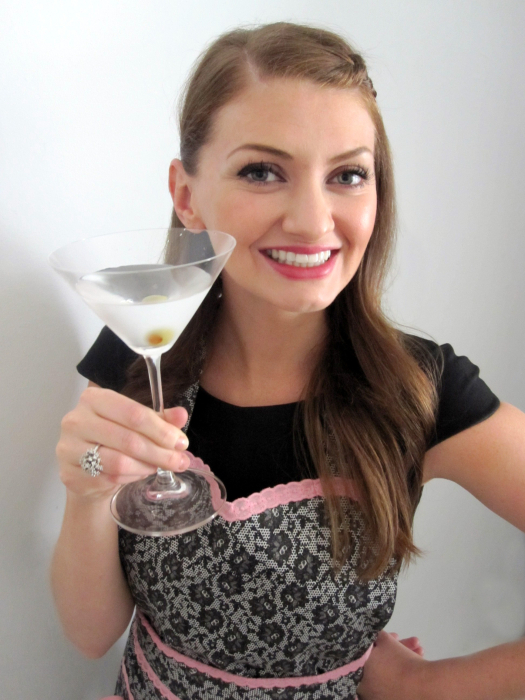 alrighty friends, you asked for some thanksgiving dessert ideas + i accepted the challenge. 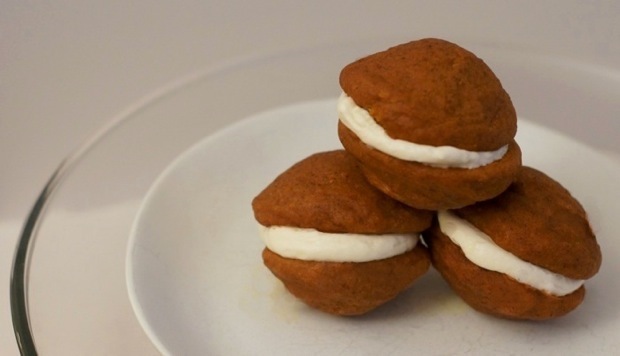 after pouring over (what seemed like) millions of recipes for cakes, pies, cookies + fudge, i finally settled on this gem — martha stewart’s pumpkin whoopie pies with cream cheese filling. this was my first attempt at whoopie pies + these came out wonderfully. they are, surprisingly, much lighter than you’d expect, airy, moist + delightfully flavored. the cream cheese filling was unanimously labelled as perfect – just the right amount of sweet + a lovely whipped texture. i will absolutely be using the cream cheese filling recipe again for cupcakes. or frankly, just to eat as a snack. if you’re looking for a new dessert recipe for thanksgiving, try these! i have no doubts that you’ll absolutely you’ll love ’em. make the cookies: preheat oven to 350 degrees. line two baking sheets with parchment paper or a nonstick baking mat; set aside. in a large bowl, whisk together flour, salt, baking powder, baking soda, cinnamon, ginger, + cloves; set aside. in another large bowl, whisk together brown sugar + oil until well combined. add pumpkin puree + whisk until combined. add eggs + vanilla, whisk until well combined. sprinkle flour mixture over pumpkin mixture + whisk until fully incorporated. using a small ice cream scoop with a release mechanism, drop heaping tablespoons of dough onto prepared baking sheets, about 1 inch apart. transfer to oven + bake until cookies are just starting to crack on top + a toothpick inserted into the center of each cookie comes out clean, about 15 minutes. let cool completely on pan. make the filling: sift confectioner’ sugar into a medium bowl; set aside. in the bowl of an electric mixer fitted with the paddle attachment, beat butter until smooth. add cream cheese + beat until well combined. add confectioners’ sugar + vanilla, beat just until smooth. assemble the whoopie pies: line a baking sheet with parchment paper + set aside. when cookies have cooled completely, put a large dollop of filling on the flat side of half of the cookies. sandwich with remaining cookies, pressing down slightly so that the filling spreads to the edge of the cookies. transfer to prepared baking sheet + cover with plastic wrap. refrigerate cookies at least 30 minutes before serving.